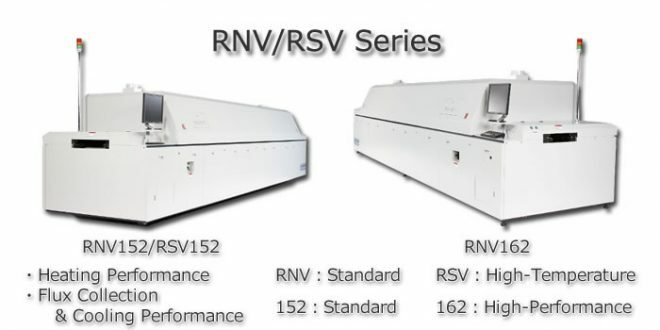 【ETC】Vacuum Reflow Equipment | Products （Vacuum Reflow Equipment ）| MASS CO., LTD.
With combine the solder, the void space can be saved maximum less than 1%.Improved the electrical characteristics and the connection reliability of the product. Min. 30 sec tact speed time for mass productions. One time soldering and vacuum reflow on the double face PCB, the void can be decreased.The metal PCB with the heat sink of aluminum can be solder.The temperature variations less than the hot plate heating system, the reflow time can be shorten. The cleaning flux frequency several times a year.162 model is excellent collection performance. ・ This equipment can use for N2 Reflow Equipment. Flux Collection Standard Equipment：Large-capacity flux collection unit by air-cooled.